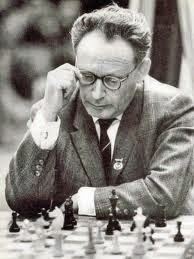 Mikhail Moiseyevich Botvinnik (17 August 1911 - 5 May 1995), was World Champion from 1948 to 1957; 1958 - 1960; and 1961 to 1963. Botvinnik was know as the "Patriarch of the Soviet Chess School", his students included Kasparov, Karpov and Kramnik. Glenwood Chess Chess Club celebrates Botvinnik's contributions to chess with a 7 round swiss tournament. The time control for the tournament is 90/90. Please complete the online registration to enter the tournament. Please click here for the online entry. Click here to see current entries.